Leading Manufacturer of plastic zipper and invisible zipper from Tiruppur. 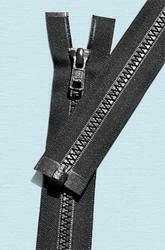 Our zippers are made from finest quality materials fitted with high grade sliders for smooth functionality. These products are designed and crafted on the basis of finest quality and skin-friendly fabric which are available at market leading prices. 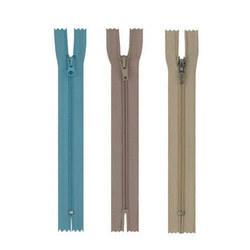 These invisible zippers have hidden coil teeth with matching fabric tape and auto-lock teardrop slider which are made from very high quality raw material & ensure high durability at its user end. These are available at the most affordable prices.